Hermit Crab Scooper | Zoo Med Laboratories, Inc. 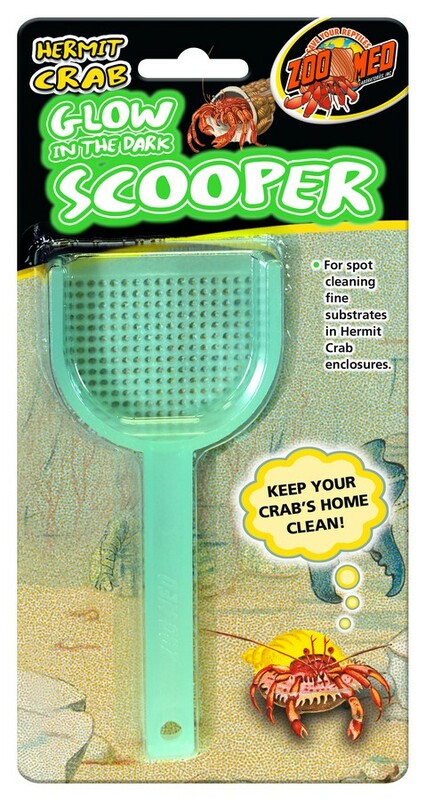 This perforated scooper is great for “spot cleaning” those dirty bits in your pet’s sand habitat. 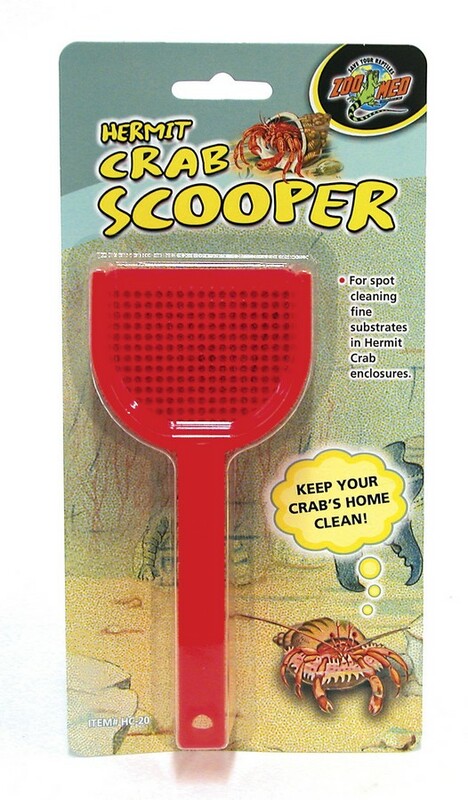 Available in 3 Assorted Neon Colors: Red, Blue or Green.